FLUX provides a seamless work environment where you can focus and scale your business. We enable growth by fostering connections, providing high-quality space and hosting a variety of networking events. Powered by Spacecubed, FLUX is a coworking and office space that is leading a new generation of work. By providing a seamless environment for businesses to operate in, FLUX enables businesses to reach their full potential. Its state-of-the-art facilities give members an experience like no other, all within the heart of the central business district. In an increasingly busy era, we believe the next generation of businesses need a focussed environment to do their best work. We cover all our member’s needs when it comes to running their work space. Our devoted team ensures that typical office and facilities management tasks, that businesses usually have to manage, are all handled for you at FLUX. FLUX has been created for businesses who are seeking a unique space in the city centre. 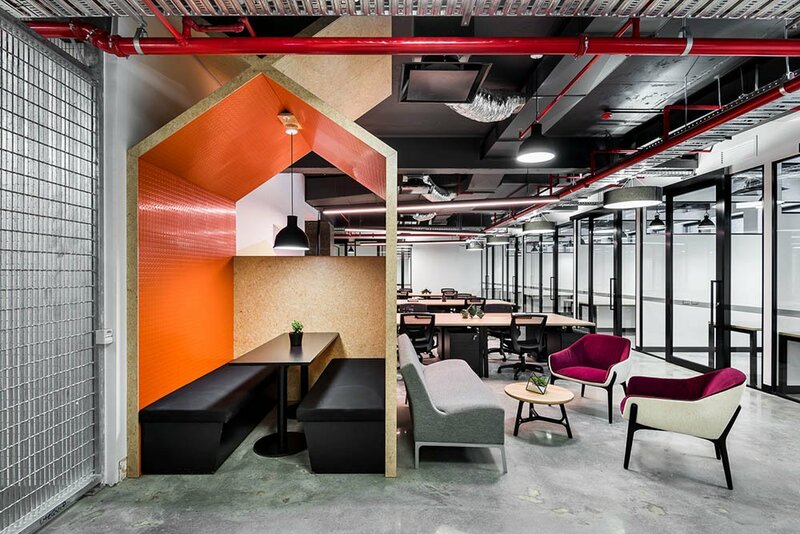 With its members at heart, FLUX’s coworking, resident desks, office spaces, meeting rooms and event space have been designed for collaboration and engagement. Our coworking spaces are for members who crave flexibility. Like our members, we are also flexible and offer three types of coworking options: full time, part time and permanent desks. Office spaces at FLUX are ideal for growing businesses that need a bit more privacy but still enjoy working in an engaging environment. 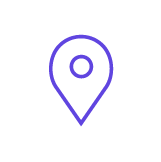 The spaces are personalised and come in a range of sizes to see businesses through as they scale. 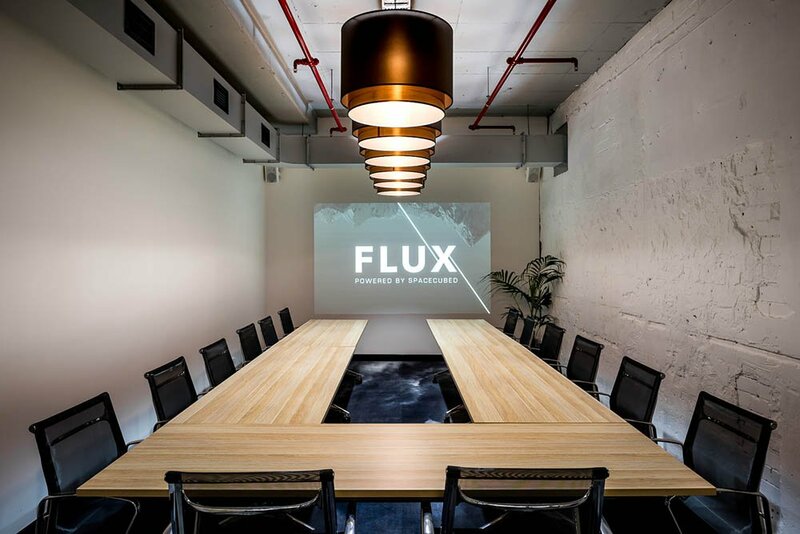 Catering for small team meetings to board presentations, meeting rooms at FLUX are designed to facilitate teams as they grow with maximum flexibility. See our full range of meeting rooms. With a sleek and contemporary design, FLUX’s designated event spaces BASE and DECK are a perfect venue for business events in the heart of the central business district. Reserve your next event at FLUX. Whether you are looking to hire a new employee, or seek investment, FLUX provides members the opportunity to access a bank of brilliant minds to connect and grow with. Connection is key not just through the broader Spacecubed community which you will be part of but through the physical space and location in the centre of the Perth Central Business District. Book an appointment for your first visit to FLUX. The intersection of agriculture and technology.